Major League Baseball has launched a huge initiative to make going to their baseball games a fun-filled interactive experience for all fans. Using Apple’s iBeacon indoor mapping, which is a new iOS7 feature, professional baseball plans to customize At the Ball Park app, so that every fan entering any of its MLB stadiums across the country can enjoy the new interactive app. GPS technology is reliable for routing someone to a target destination, but in the indoors navigating with GPS has not been mastered. The solution to that problem was answered with Apple’s iBeacon. MLB has been closely working with Apple since February on the new project and on Thursday set up its first demo in New York City at Citi Field. The idea was to show the fans of the New York Mets how their team would execute all this at their ballpark. Apple and MLB said they wanted to create, what they described as micro-locations, inside the different stadiums where one can enjoy different experiences. With the free app, as soon as you exit the subway and are headed towards Citi Field it knows you are there. It fills the guide for the ballpark with information specific to that stadium. When nearing the gates the barcode for your ticket appears on the screen along with a map on how to find your seats. The app can also highlight different points of interest. 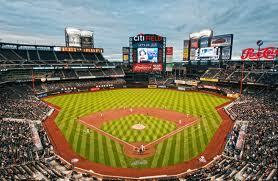 For the Mets, for example a video about the stadium’s history could be viewed. The Mets are already on board with the new technology and will most likely launch in 2014. However, the league did not say if any other teams are on board or when they would have it ready to launch. Apple and MLB said a number of teams expressed interest, as they know it will help change the interest of all fans attending the games.